AC™ Harrow Gold HW616 cv. ripens approximately 10 days before Bartlett and is a cross between Harvest Queen and Harrow Delight. The fruit are yellow with smooth skin and fine texture. AC™ Harrow Gold has a flavor that is balanced between sweetness and acidity. 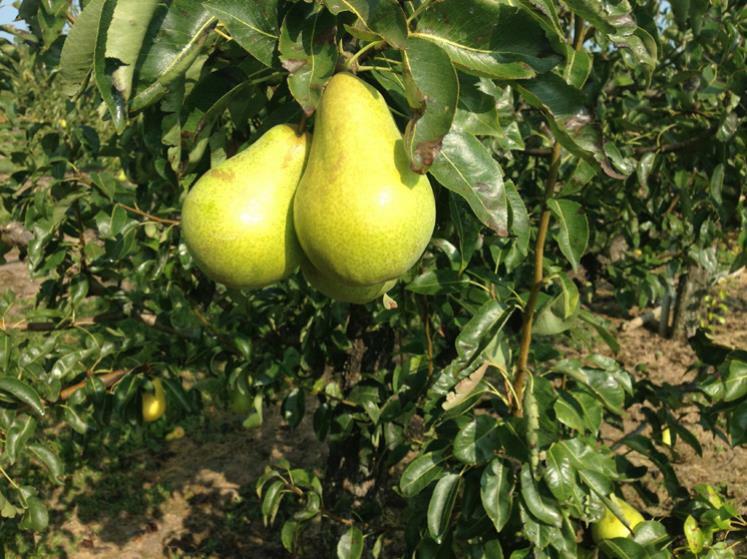 The variety is exceptionally juicy and the fruit are similar in size to that of Bartlett. Longer storage ability is limited with this selection. AC™ Harrow Gold was bred by Agri-Food Canada and has a high tolerance to fire blight.